The officer ran over the injured pedestrian prone on the roadway with the police vehicle, killing him. 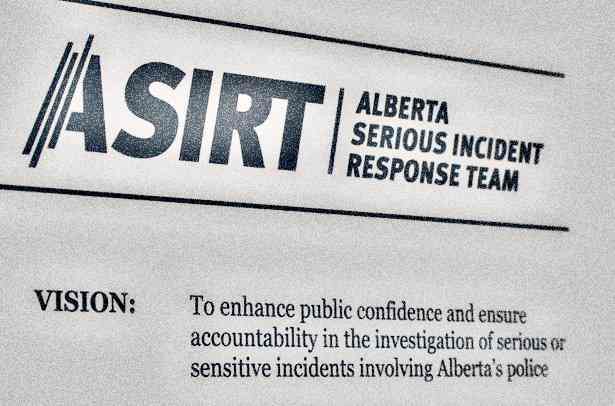 After an investigation into the circumstances of a fatal motor vehicle collision that contributed to the death of a 41-year-old man, the Alberta Serious Incident Response Team (ASIRT) has determined that there are reasonable grounds to believe offences were committed and that an officer should be charged. In the early morning hours of Aug. 21, 2016, reads a press release, an RCMP officer was responding to a report that a motor vehicle had struck and significantly injured a pedestrian walking on Highway 881 near Anzac, Alta. While responding at an extremely high rate of speed, the officer came upon a number of vehicles stopped on one side of the highway with their lights on and proceeded to drive past the vehicles without slowing. This was the location where the pedestrian had been originally struck and the officer ran over the injured pedestrian prone on the roadway with the police vehicle, killing him, and striking the hand of a 71-year-old man who had been rendering aid to the pedestrian, causing serious injury. Upon the arrival of Emergency Medical Services, the pedestrian was pronounced deceased. The injured bystander was transported to hospital where he was treated for serious but non-life threatening injuries. Constable Michelle Phillips, a member of the Royal Canadian Mounted Police, was charged with one count of dangerous driving causing death, and one count of dangerous driving causing bodily harm. Phillips has been released on a promise to appear, and is scheduled to appear in Fort McMurray Provincial Court on Aug. 2. ASIRT will not provide any further information in relation to this investigation because it is now before the courts.